As many of you know, the parentals are visiting from Norway for 3 weeks. Last night, we had a lovely Saturday night dinner. I’m allowed to say it was lovely, because I cooked most of it. Bacon wrapped sirloin with bbq sauce and an arugula & grape salad. My dad made his amazing Worcester Sauce cubed potatoes with onions to go with it. And we had a beautiful Brokenwood Hunter Valley Shiraz to go with it. My mother used my china and candle holders to work her magic with the table setting. She brought me the long candles and napkins from Norway. Red Rocks Amphitheater and Photography Update. One of the joys of living in Colorado is living so close to Red Rocks. I spent the morning up there shooting for my photography class. The place is astonishing. The natural amphitheater formed out of the red rocks pushing up out of the fault line is breathtaking. I remember seeing a recording of U2 “Under a Blood Red Sky” performed there — and I cannot BELIEVE how long I have lived here without actually going to see a concert here. Well, that’s going to change this concert season. I’ve got myself tickets for Rush (the Moving Pictures Tour) in August. Well, make that TICKET (singular). No one wants to go with me to see Rush. Oh well, they’re the ones missing out. I took about 200 shots up there today, and I was thinking how lucky I am to be living in the digital age. If I were to buy film and develop it all, I’d have to be a LOT more careful of how many pictures I took – otherwise it would cost an absolute fortune. It’s bad enough that the equipment is so expensive! I’ve uploaded a few of the better shots to flickr if you want to have a look! 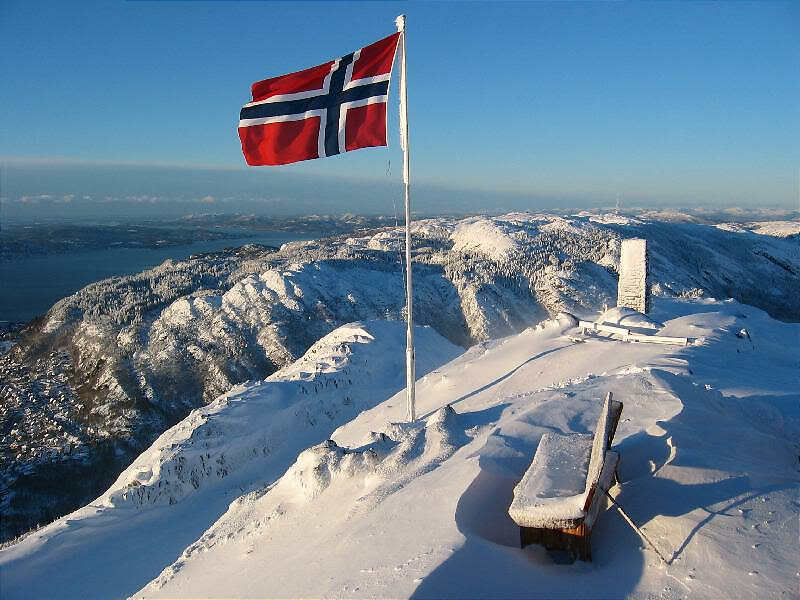 Today, May 17th, is a difficult day to be outside of Norway if you are Norwegian. It is Norway’s National Day, the day our Constitution was written. Many people mistakenly call it Norwegian Independence Day, because it sort of equates in celebration to other Independence Days. It’s actually a much bigger deal to most Norwegians than the 4th of July or anything though. There are parades, everyone dresses up in national costume, or at the very least in fancy clothes. Children get balloons and ice cream. Adults enjoy a drink or two, and there is a feeling of a national fete throughout the day. When I first moved out of Norway after I was married, we tried celebrating with other ‘Norwegian Americans’. When I was growing up, whenever we lived outside of Norway for the 17th of May, my mother always helped arrange mini-parades and parties for the ex-pat community – maybe I could get some joy out of that. The first one was in Abu Dhabi — I went to the Norwegian Embassy … but it was strange. Hot weather. Lots of people from Oslo (not the ‘real’ Norway, which we all know is Bergen). Then, when we moved to the States, and the Sons of Norway were having a ‘Norwegian’ 17th of May. How totally disappointing THAT was. Before eating, we all stood up to sing the National Anthem. The AMERICAN National Anthem. THEN the Norwegian National Anthem. I was outraged. And since then, we have not observed the day while overseas. It’s too upsetting to me to see it butchered. So, I quietly try to pretend that it is not a special day. That my heart isn’t aching to see Bergen decked out in a thousand Norwegian flags. That I don’t want to be sitting in the harbor having a beer with family and friends and watching the crowds go by. I’ll just quietly put up this flag in the Meta instead — and then return to my desk and pretend it’s just any other day. Now that I don’t work on Wednesdays, I try to get all my shopping in once a week. This involves going to Whole Foods for fresh food and specialty items, King Soopers for dry goods and frozen food that I don’t get at Costco. Then home with that stuff on the way to Costco. At Costco we get lots of paper goods, meats, chicken, and other bulk item stuff (like snacks for the kids – they eat a lot of stuff!). Then I stop at the liquor store for browsing so that I can browse for wine that I don’t buy at Wine.com. Usually ends up being exhausting, but it feels great to have a full fridge, fresh flowers, and stuff in the freezer!! This video series (there’s 5) shows the stuff put away in the fridge, pantry and freezer.